The Electrolux 60cm Slideout Rangehood ERR627SA comes with the 60cm stainless steel slide out rangehood with Powerful centrifugal fan with quiet operation and 2 aluminium filets. 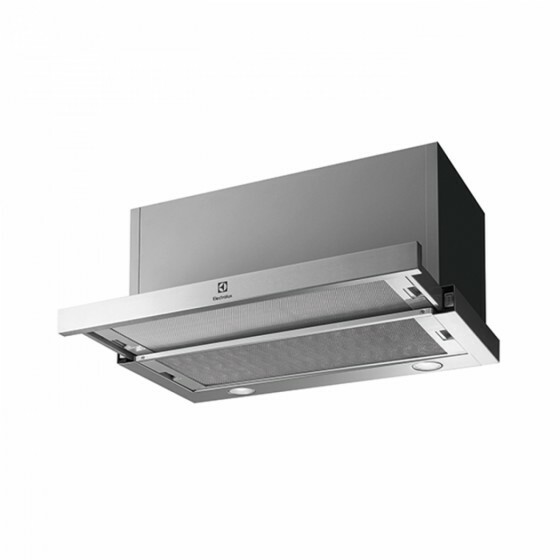 This stainless steel canopy rangehood quietly and effectively removes cooking odours, smoke and steam. To keep your kitchen simple and minimalist, this slide out rangehood will suit your needs, as it is discreetly hidden within your kitchen cabinetry. This slide out rangehood with pull out 2 speed controls makes it simple to adjust fan speeds to suit your cooking needs.